We welcome both members of KEG and any community members to any of our committee meetings. 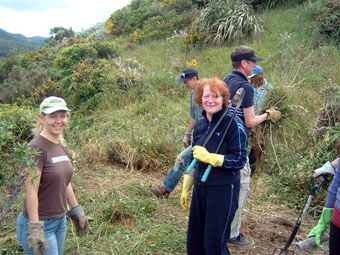 Korokoro Environmental Group is a community group that advocates for Korokoro's environment. Korokoro is a welcoming community enjoying a green and open environment. Over the years different residents' groups have contributed to the area's development. People have worked together to start the playcentre, save the school, stop rubbish tips which would have destroyed Galbraiths and Korokoro Stream gullies and protected the hilltops and ridgelines from housing developments. KEG supports and encourages a range of worthwhile community initiatives. To find out more about these, visit our KEG Projects page.